You are currently browsing the The Pet Product Guru blog archives for October, 2016. Local animal shelters are filled with cats and dogs abandoned for one reason or another. It really bothers me how many people got rid of their pets for financial reasons yet maintain an unlimited cellphone plan and mindlessly text all day! The fact is that many people will not adopt an older cat or dog for fear that it only has a few years to live. Remember cats can live as long as 20 years, so if you adopt a twelve year old cat and if it’s in good health, you can have eight good years with it. Giving a second chance to an abandoned older cat or dog is a very rewarding experience. 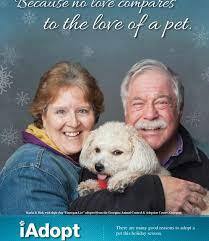 Perhaps with the up coming holiday season, you can really help the animal shelters and adopt a needy animal. If you cannot adopt a pet due to allergies or financial reasons, animal shelters could use old blankets, food or anything else that you can donate. Spend your money on cat toys or a pet carrier instead of paying for minutes to mindlessly text all day! If you love oldies – there are two places to find the greatest memories of your life! Edgewater Gold Radio – The greatest songs from the 50’s through the 80’s plus great pop standards! Rehoboth Radio – Beachradio 5060 – The greatest variety from the 50’s and 60’s. Listen to both great stations directly from our website: The Edgewater Internet Radio Network! Coming soon A Delmarva Christmas – holiday music 24 hours a day! 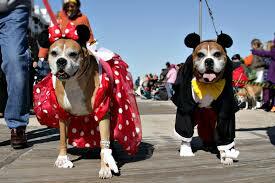 Today is the doggie costume parade on the boardwalk in Rehoboth Beach. Dogs of all kinds will be wearing all sorts of creative, cute halloween costumes. 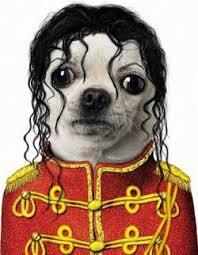 What if your dog doesn’t want to wear his costume? Here are some tips. Let your best friend sniff his costume before trying to put it on him. Do this gradually a few weeks before he has to wear it. It may be to late to do this now but try again next year. Give him lots of praise when you put the costume on him. Reward him with lots of treats. Before putting the costume on, take it out and let him get used to it. If your dog stands on the costume, it usually means that he likes it. Good luck and have lots of fun this halloween with your best friend! The greatest oldies of all time are on one station. Edgewater Gold Radio! The leading cause of feline behavior problems is other cats at home. Cat on cat aggression is not a pretty thing and neither is territorial spraying. Cats are a non social species. Put cats together and you’ll see what experts call a domestic hierarchy develop. It’s not exactly an alpha dog thing but younger, submissive cats do need to find their place in the hierarchy. Cats like to divide up the home territory. So be sure to keep that in mind. if your cats are all spayed and neutered, it will simplify things. Try feline appeasement which comes in diffusers like a nightlight. It’s not a cure all but it could help in a multi-cat household. Enjoy your weekend with the greatest oldies of all time! Edgewater Gold Radio — 50’s 60’s 70’s and early 80’s plus great pop standards. Rehoboth Radio –Beachradio 5060 —The greatest songs from the 50 s and 60’s. Your cat is arching his back, puffing out his hair and bouncing all over the room. What’s happening? 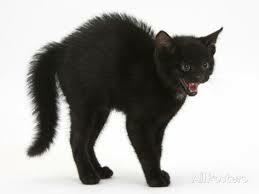 If your cat perceives that he is in a fearful situation, his biochemicals begin to go to work. Adrenaline is flowing through his body causing his hair to stand up on edge, his back begins to arch and his tail puffs up. 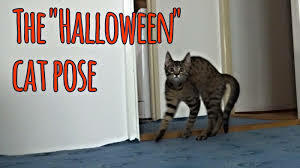 You could snap a picture and put him on a Halloween card. Cats pose like to this to look bigger and menacing to an approaching threat. Your cat will turn sideways toward the proposed attacker to further magnify his appearance. He may look tough on the outside but on the inside, he hopes the attacker will turn and go away. This position may look strange to us but it’s very real to your cat. Maybe that’s where the phrase “Scaredy Cat” came from. Oldies all the time on Edgewater Gold Radio and Rehoboth Radio – Beach Radio 5060. Oldies for the fall – If you love oldies, check out our two great oldies radio stations. Edgewater Gold Radio – oldies from the 50’s 60’s 70’s and early 80’s. Rehoboth Radio – Great oldies from the 50;s and 60’s. You can find them both on our website: The Edgewater Internet Radio Network. 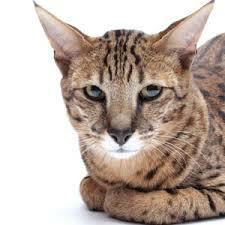 Feline Infectious Peritonitis or (FIP) can be a deadly viral disease in young cats. 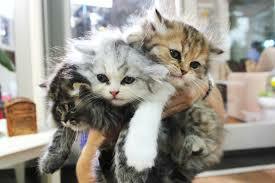 An infected kitten may be lethargic, have a fever and refuse to eat. The symptoms of this disease are very similar to feline distemper. One form of FIP can cause fluid buildup in the cat’s chest and abdomen and you will be able to see a distended belly. Unfortunately, there’s no easy way to test for FIP. This disease is caused by exposure to specific strains of the feline Corona virus. Your vet will be able to test for this virus. There’s another problem however, no blood test can tell for sure if your cat was exposed to a disease causing strain of the Corona virus. 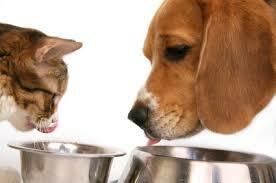 A positive lab result doesn’t necessarily mean your cat’s at risk. Your vet will not only look at your cats test results but will consider his history, symptoms and general health when diagnosing F.I.P. If your cat has symptoms, don’t try to diagnose him yourself or administer pet medication. This is a job for your vet. You must act very fast as this disease progresses very quickly. As soon as you see symptoms take you cat or kitten to the vet immediately, his life is greatly at stake! Oldies for your weekend! As the weather cools down and you’re indoors more, you’ll want to crank up the oldies! Edgewater Gold Radio – 60’s 70’s 80’s and standards. 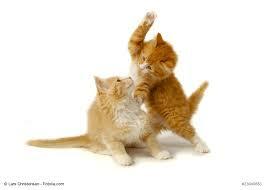 add comment Comments Off on Feline Distemper is Deadly! As your cat ages, you can expect changes in his/her behavior. Sometimes we don’t realize that these changes are occurring but sometimes they can get us a bit concerned. Pet MD has put together a list of changes you may notice as your cat ages. Excessive vocalizing as she ages doesn’t mean she’s becoming more conversational, but it could indicate that she’s disoriented due to feline cognitive decline (FCD). It could also be that she’s becoming deaf or is in pain, perhaps from arthritis. Have her thoroughly examined to rule out any medical conditions. If there’s no physical cause, your veterinarian can try to resolve it with pheromones if her meowing stems from anxiety brought on by age. Your aging cat could be experiencing hearing or vision loss, which can impact how deeply she sleeps. Or she may need to use her litter box more frequently but have trouble finding it due to feline cognitive decline (FCD). Geriatric anxiety could also be the culprit, caused by being separated from you because you’re asleep or being worried about finding her way around the house. Medication may possibly help with this. An aging cat’s mental decline can resemble a human’s Alzheimer’s disease, where the once familiar becomes confusing or forgotten. Predictability in your cat’s schedule and environment can help ease her stress. Keep the location of her litter box and food in the same places as always, and avoid any changes to what she eats or the litter she uses. If her distress is at a fever pitch, keep her in a room with food and litter box at opposite ends. Having both in the same small space can increase her feeling of security. If she has taken her elimination habits outside of the box, so to speak, she is not being willfully disobedient. Inappropriate elimination has many causes, such as a decrease in mobility, a more frequent urge to eliminate, less control over her bowels or bladder, and serious organ issues, urine tract infection, kidney disease, or even brain tumors. Take her to the vet to rule out any medical issue and, if that’s not the cause, increase the number of litter boxes. You may need to get a litterbox with lower sides than her current box so that she can comfortably enter and exit. This sign is fairly easy to spot, since a formerly friendly cat becoming less interested in you and your petting is a stark contrast to her “normal” behavior. Conversely, a previously aloof cat can become clingy and overly dependent — such as following you around the house or meowing plaintively and constantly — and may feel the need for constant physical contact. Try to think of this change as getting to experience the flip side of your cat’s personality. Apathy with a drop in her usual activity can also mean illness, so check her eyes to see if her third eyelid (haw) is showing. If she passes this test and is not significantly different, such as not grooming herself at all or being less responsive to activity in her environment, chances are that she’s just slowing down with age. At any time that your cat refuses to eat, get her to the vet immediately. Not eating can cause fatty liver disease, which is both quick and fatal. When your cat reacts to being disturbed with irritation and crankiness, she could be feeling the physical effects of aging — stiffness, soreness (maybe from arthritis), muscular weakness, or diminished smell or hearing. She also could be feeling some confusion and sadness about her restricted activity and diminished ability to be part of family life. Find ways to include her, even if that means just holding her on your lap as she watches Junior’s antics, and take care to leave her alone when she’s settled in comfortably. An older cat that continuously paces during her waking hours is showing one of the classic signs of feline cognitive decline (FCD), a condition that mimics dementia in humans. Though it can be unnerving to see your cat constantly walking back and forth, it can also be a bonding experience for the two of you. Try walking along with her and carrying on a conversation, even if it’s one-sided; surprise her with treats along her path; or drag a shoelace in front of her if she seems playful. Consult your veterinarian for possible options for your cat. Thank you once again to Pet MD for providing this valuable information. The greatest variety of oldies —familiar favorites and some surprises on two great radio stations! Edgewater Gold Radio – The 50’s 60’s 70’s early 80’s plus great standards. Rehoboth Radio -Beachradio 5060 – the greatest variety of the 50’s and 60’s. A crate should always be a positive experience for your dog. Some people use the crate in the wrong way and create a negative experience for their dog. Bad crating occurs when the crate is over used or is misused. Some people want their dog out of the way so they “throw” then in their dog crate. These people should not own a dog. Crating a dog for eight hours while you’re at work or overnight is fine as long as the dog is given plenty or attention and exercise when you’re home. People who crate their dog for longer periods must question why they got a dog in the first place. It’s fine to send a child to his room if he has done something wrong. Dogs do not take to this kind of discipline in the same way. If your dog chews something that he is not supposed to and you “throw” him in his crate to punish him, you are not only punishing the dog but you are punishing yourself. The dog will NEVER want to go in his crate because you created such as bad experience for him. NEVER USE THE CRATE FOR PUNISHMENT!! You’ll be sorry if you do. Remember, dogs live in the moment, so you must catch in in the act of doing something wrong and correct him in the right way. 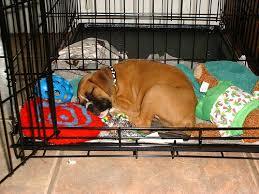 If you use your dog crate in the right way, it will become a safe, comfortable place for your dog. The greatest oldies for your workday! Edgewater Gold Radio and Rehoboth Radio – Beachradio 5060. The greatest oldies from the 50’s 60’s 70’s 80’s plus pop standards – listen-remember and enjoy! Edgewater Gold Radio! If you love the oldies from the 50’s and 60’s, you’ll love Rehoboth Radio -beachradio 5060. Fly ball is a fast paced sport in which the first of four relay dogs begins at a starting line, races over four hurdles ten feel apart and runs fifteen more feet to a fly ball box. There he presses a spring loaded pad to release a ball which he carries back over the same track to his owner. When he crosses the line, the second dog races off. 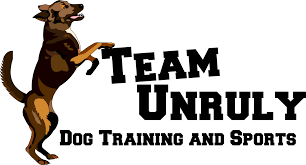 Each team consists of four dogs of any breed or mixed breed. The hurdle height is determined by the shoulder height of the teams smallest dog. For this reason, teams welcome small dogs who could run and jump with speed and precision. The objective in fly ball is to win the race without dropping the ball or having any dog start before the previous dog has crossed the finish line. Remember to take plenty of dog treats along with you to entice your dog to win! Great oldies – two great stations.